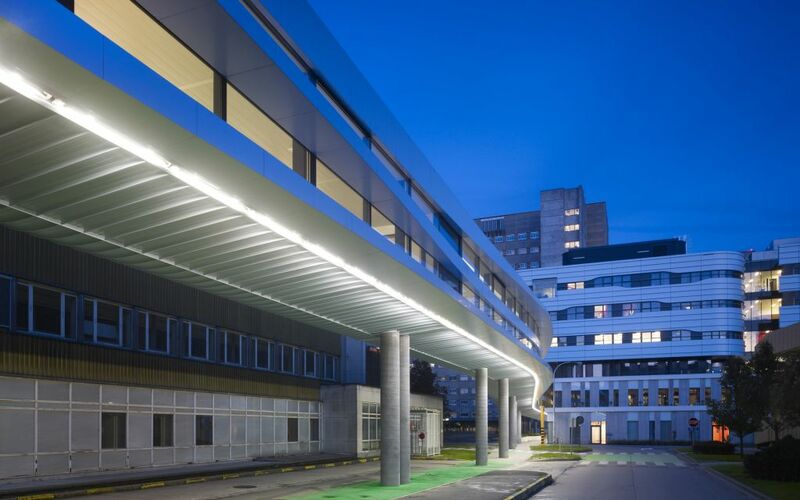 UZ Gent University Hospital required an extension which created innovative facilities for paediatric care. The design by DHA strived to create a unique and recognizable building centred around children’s needs. The project itself is an extension of existing buildings (16.000 m2). Since children are the main users, DHA decided to create a recognizable and quirky building, instead of an extension of the existing buildings. The campus was already dominated by large concrete structures and DHA wanted therefore to reduce the impact of the new building on the surroundings. In order to achieve this the base of the building is covered with a green undulating landscape. The interior is completed with a warm colour palette and rounded, playful furniture. The new facilities create a friendly and welcoming atmosphere for children. The building contains outpatient wards, a day hospital, a paediatric intensive care ward with 15 units, extension of the existing operation facilities with 4 operation theatres, staff quarters and a paediatric hospital with 78 beds. 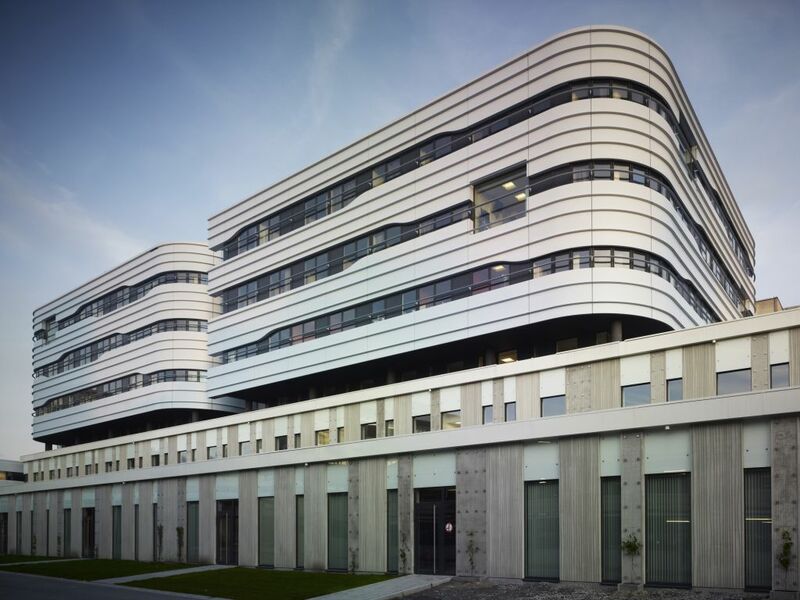 The new clinic has been named Princess Elisabeth Children’s Hospital, after the Belgium crown princess.